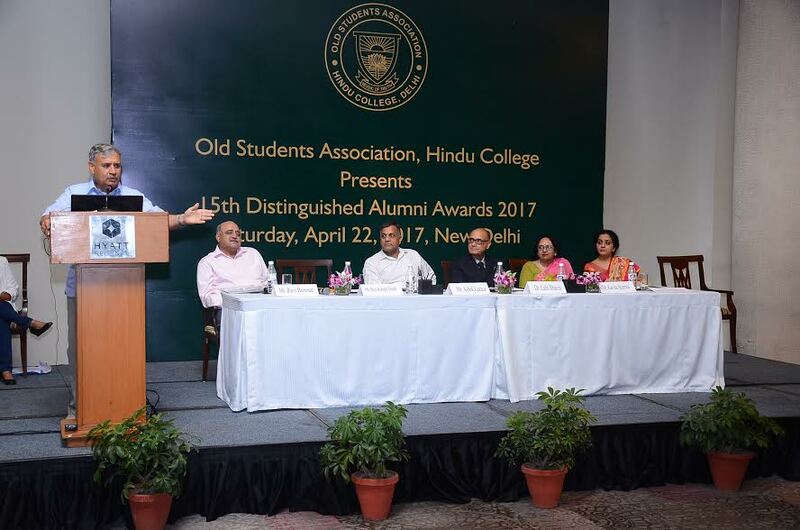 The Hindu College- Old Students Association (OSA) hosted the 15th edition of “Distinguished Alumni Awards” today at The Hyatt Regency. These awards were conferred upon the alumni of the College who have excelled and achieved laurels in their respective fields of work and expertise. This year 15 alumni from fields such as Law, Police Service, Civil services, Corporate, Sports, Media, and Journalism amongst others were awarded. 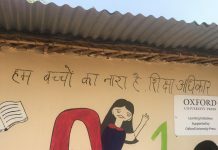 Shri Rao Inderjit Singh – Minister of State (Independent Charge) for Ministry of Planning and Minister of State for Urban Development and Housing & Urban Poverty Alleviation, Government of India & Shri Ashok Lavasa, Finance Secretary, Government of India graced the occasion as the Chief Guests. The OSA Distinguished Alumni Awards annually recognizes OUTSTANDING ACHIEVERS who have excelled in their respective fields and made a significant contribution to the society at large. Some of the distinguished alumni who have been honoured in the past include Late K.K Birla, Late Prof. Bipin Chandra, Vinod Rai, Dr. Pervez Ali Ahmed, Dr. Naresh Trehan, Dr. Kapila Vatsyan, H. K. Dua, Manoj Kumar, Rao Inderjit Singh, Sreenivasan Jain, Imtiaz Ali, Vishal Bhardwaj, Rekha Bharadwaj, Arjun Rampal, Tisca Chopra, Loveleen Tandon, Saba Karim, Murali Kartik, Gautam Gambhir, Dr. Subramanyam Swami, Arnab Goswami, M.K.Venu, Anil Goswami, Yashovardhan Azad, Ashish Vidyarthi, Venkatesh Kini, Ashok Lavasa, Rajiv Jain, Neha Khanna et al. The Old Students Association (since the Centenary Celebrations in 1999-2000) has been annually recognizing its distinguished alumni in a glittering celebration that grows every year by leaps and bounds. The Hindu College is recognized as one of the premier academic institutions in the country. The College is committed to providing the leadership and direction for the times ahead in every sphere of human enterprise and Endeavour. Jasleen Royal, while accepting the award, enthralled the audiences with a popular number from her recent hit movie ‘Dear Zindagi’. The OSA also launched the Alumni Portal www.hinducollegeosa.org and the 11th edition of annual newsletter ‘The Alumni’ for its alumni at the event.